The Eastern cross-country Teams had strong showings in its second meet of the year in the Notre Dame Joe Piane Invitational Sept. 28 in the Gold Division races. With the men finishing in 4th out of 11 teams. While the women finished 10th out of 18 teams. Sophomore Dustin Hatfield led the team in the five-mile course with a time of 24:53.97 resulting in an 11th place finish. 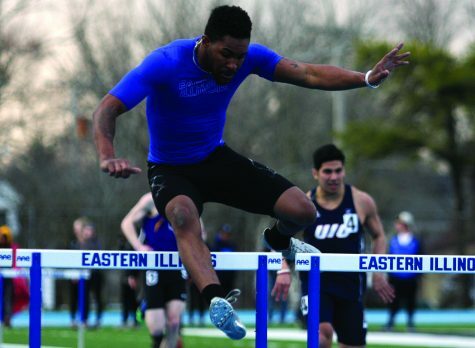 “It was a step in the right direction coming back from my injury from last year,” Hatfield said. Hatfield suffered a stress fracture in his right leg after the conference meet making him unavailable for the regional race last season. 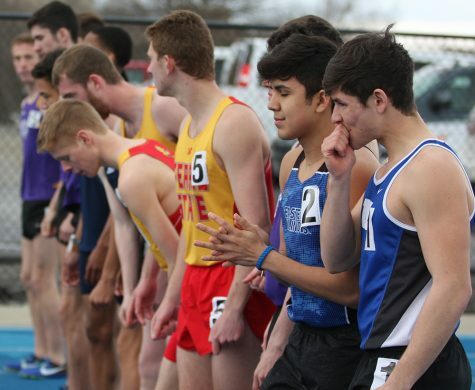 While Hatfield posted the best time for the team, teammate Junior Marcus Skinner was just behind with a time of 25:08.70 finishing in 14th place. The next three runners from Eastern all finished close to each other to help Eastern to the 4th place finish. Freshman Nick Oakly finished in 33rd with a time of 25:30.17 while sophomores Jamie Marcos and Robby Prescott finished with times of 25:36.14 and 25:39.69 coming in 34th and 36th place. Sophomore Tyler Lay came in 49th place, while junior Joe Carter and freshman Francesco Romano came in 52nd and 56th place to finish off the Panthers. 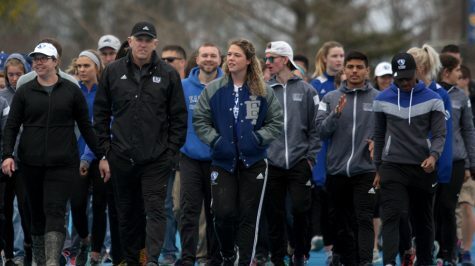 “We have a young team and a lot of building, but at the end of this year and next year I feel that we are going to do a lot of good things,” Hatfield said. Hatfield has a positive outlook for the rest of the season and the coming seasons after. Leading Eastern for the women’s team to a 10th place finish was freshman Shelby Siltman with a time of 18:26.94. Following behind her was senior Grace Rowan with a time of 18:37.73 coming in 44th place. Sophomores Kate Bushue and Avani Flanagan finished in 49th and 55th place with times of 18:40.66 and 18:50.86. Junior and sophomore Joecelyne Mendoza and Maggie McPherson finished in 74th and 75th place with times of 19:11.6 and 19:12.47. “Yes I do (feel I have improved), my times are a lot faster than they were last year,” McPherson said. McPherson is excited to see more improvements in her time through the rest of the season. Both teams have the Bradley Pink Classic on Oct. 12 and the Illini Open on Oct. 19 before the OVC Championship on Oct. 27.